Debbie has been drinking martinis all night, and now she’s three sheets to the wind. Don’t go near Tom now. At the moment, he’s three sheets to the wind, and he looks like he might be sick. A: Where are Jack and Ben? B: They’re down at the bar. I’m sure they’re already three sheets to the wind by now. Did you see Luke at the party last night? He was already three sheets to the wind when he arrived! 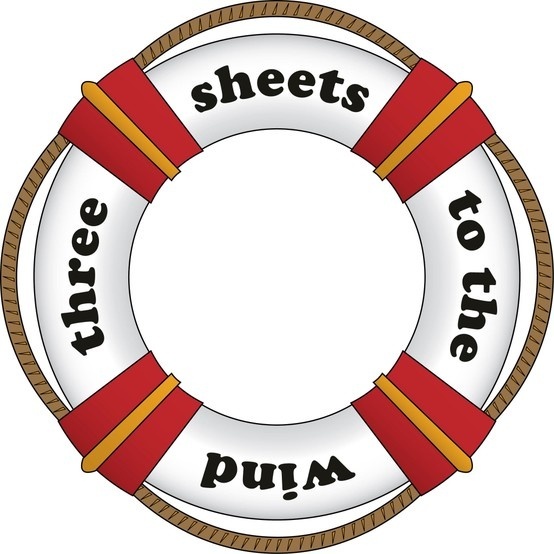 I had to look up the reason why “three sheets to the wind” means very drunk. Apparently, it’s a sailing term; if a boat had three sails (or sheets) up, the wind would cause the boat to roll and rock. This is similar to the way a person moves when they are very drunk. We usually use this expression only to describe people who are very drunk at the present moment or in the past.